To call Google’s existing payment system confusing would be an understatement. There was Google Wallet, which could be used to make Play Store purchases and send money to your friends and then there was Android Pay, an NFC-based solution that let you make payments at compatible locations. Both services were independent of each other and didn’t have what it takes to compete with what their competitors had to offer, for example, Samsung Pay and Apple Pay. 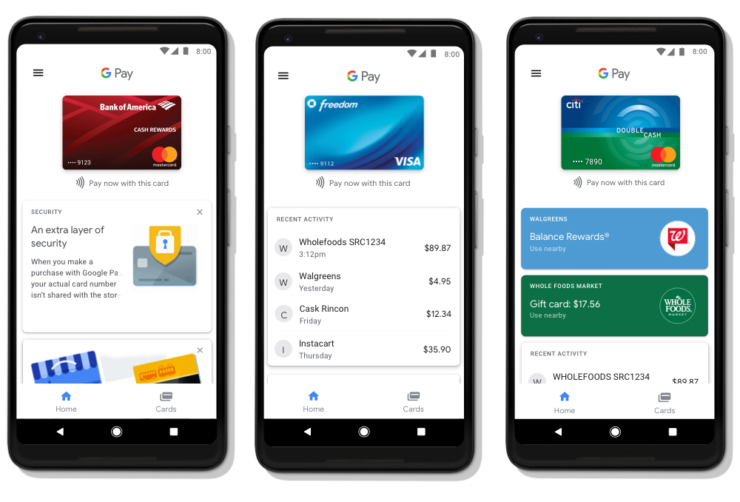 Google finally addressed the issue with the announcement of Google Pay, a unified platform that combines the functionality of both Google Wallet and Android Pay. We’ve seen hints of it getting released a month ago when Google invited some users to beta test the service. Let’s take a look at what we can do with the newly released Google Pay app. Apart from your regular credit and debit cards, you can also store all your gift cards, reward points, loyalty programs and offers in the Card section of the app. Upon checkout, you’ll be given the option to use said cards to avail discounts. The app will also show ongoing promotions in stores nearby. Additionally, you can also take advantage of promotions offered by your bank/credit card company on top of the ones provided by the app. With Google Pay, you can use your phone’s NFC functionality to pay for transit fare, eliminating the need for a pass or cash. The facility is available in only a few cities at the moment (Kiev, Portland, and London), with more being added soon. You can also send/receive money to/from your friends via Google Pay. The feature isn’t live yet but will be available in the US and the UK in the next few months. Meanwhile, Google Wallet has been renamed to Google Pay Send and will be integrated with the main app soon. Once installed, the app works with all transactions made from Chrome and the Google Assistant. The official Google Pay app can be downloaded via the Play Store, albeit only in select regions. With some work and availability in more regions, Google Pay has the potential to take on the offerings of its rivals, namely Apple Pay and Samsung Pay, among others.